Trouble connecting to NetSuite/Connecting to the wrong NetSuite instance. Why Can't I Export Without a Category Selected? Where Can I Find My Expenses? If you keep seeing errors regarding your NetSuite credentials or if you are trying to connect to production and it keeps sending you to the sandbox, check out this video for steps on how to get connected. 1. Click Configure and make sure that you have saved your sync option settings somewhere for you to reference later on. This is really important! 2. Click on the Do not connect to NetSuite radio button. You will be asked if you want to disconnect; click Disconnect. 3. Click the Connect to Netsuite radio button. 4. Enter the email for the admin who will be taking over the account as the NetSuite User ID. Enter the NetSuite Account ID (which you get in NetSuite by going to Setup > Integration > Web Services Preferences). 5. Click on the Create a new NetSuite Connection button. You will be asked if you have completed the prerequisites, which you will have at this point. Click Continue. 6. You'll be directed to the NetSuite SSO page. Enter the email from step #4 and NetSuite password for that account. 7. 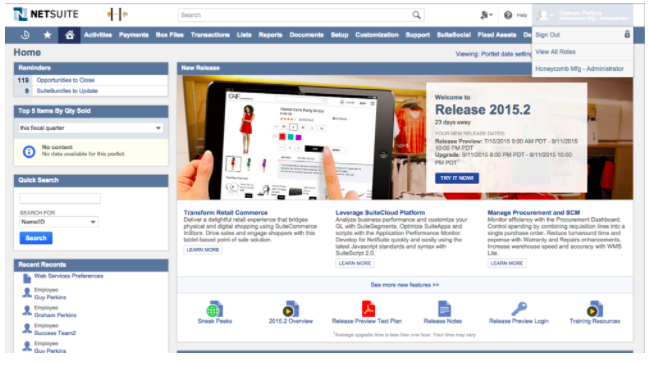 You'll be directed to the below page in NetSuite. Click on View all roles and make sure that you are signed in under the Administrator role. Once you have confirmed this, click Sign out. 8. You'll be redirected back to Expensify, where you will setup the sync options using the previous settings that you noted in step 1; then save the connection. In NetSuite, go into the role of the current connection "owner"
Then go back and repeat steps #1-8 above. 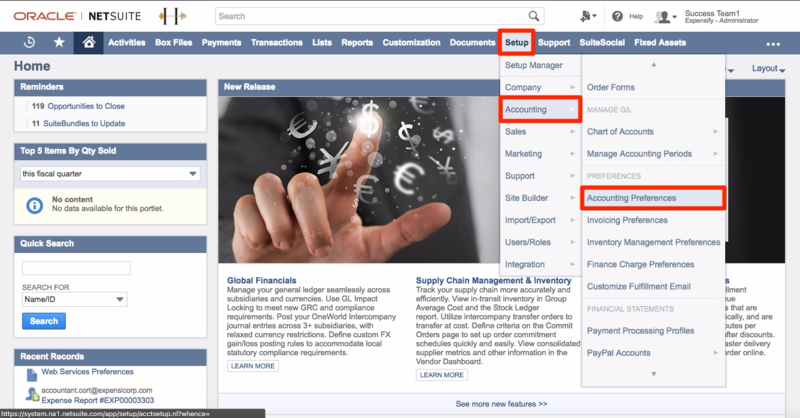 NetSuite is set up with a default payable account that will be credited each time reimbursable expenses are exported as Expense Reports to NetSuite (as supervisor and accounting approved). In some cases you may want to change this to credit a different account. 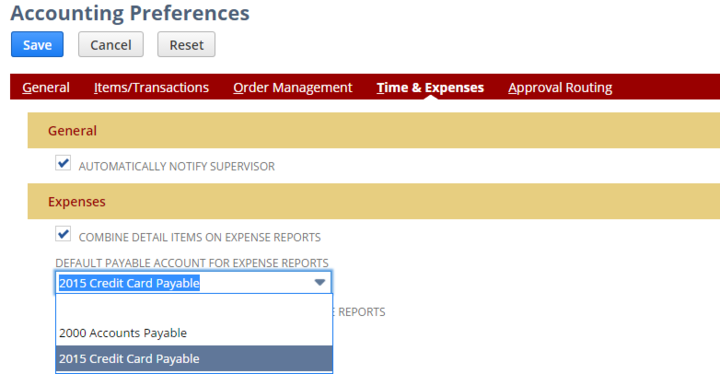 Under Expenses section, there is a field for Default Payable Account for Expense Reports, choose the preferred account. While we do support multi-currency with NetSuite, there are a few limitations. The currency of the vendor record/employee record needs to match the currency on the subsidiary selected in your configuration in Expensify. When expenses are created in one currency, and converted to another currency in Expensify before export, we do have the option to send over both original and output currencies for expense reports. This feature, called Export foreign currency amount, is found in the Advanced tab of your configuration. If you export the foreign currency, we send over only the amount. The actual conversion is done in NetSuite. During the bill payment sync, the bank account currency must match the subsidiary currency or you will receive an Invalid Account error. 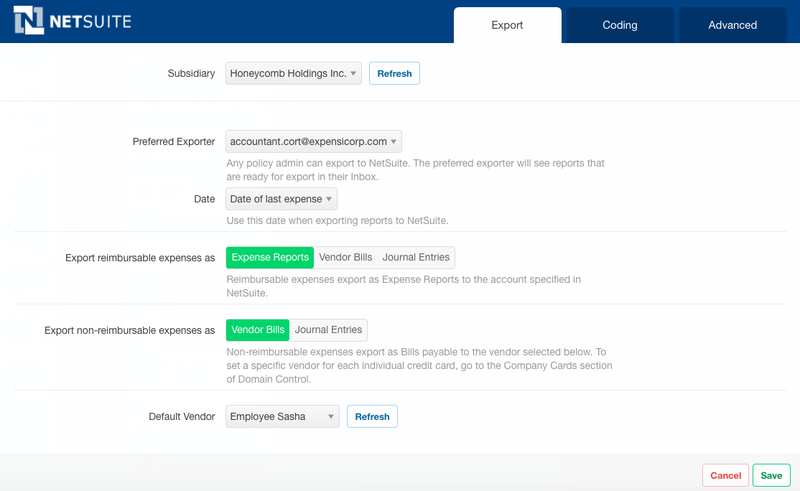 When using a non-US version of NetSuite that requires tax tracking, we import tax groups (not tax codes) directly from NetSuite to apply to your expenses in Expensify. For some locations, NetSuite has a default list of tax groups available but you can add your own and we will import those as well. DO NOT inactivate the NetSuite defaults as we use specific ones to export certain types of expenses. For instance the Canadian default tax group CA-Zero is used when we export mileage and per diem expenses that don't have tax applied to them within Expensify. Not having this group active in NetSuite will cause export errors. Some tax nexuses in NetSuite also have a couple of settings that have to be set to work correctly with the Expensify integration. The field Tax Code Lists Include needs to be set to either Tax Groups or Tax Groups and Tax Codes. The Tax Rounding Method field needs to be set to Round Off. While this won't cause errors with the connection, it can cause a difference in the amounts exported to NetSuite. For more information on our tax tracking feature click here. 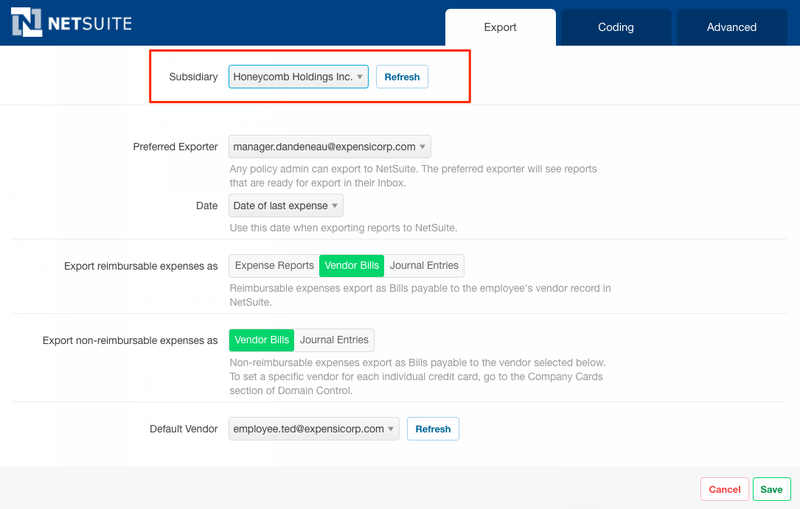 If your tax groups are importing into Expensify but not exporting back to NetSuite, make sure the each tax group has the correct subsidiaries enabled. 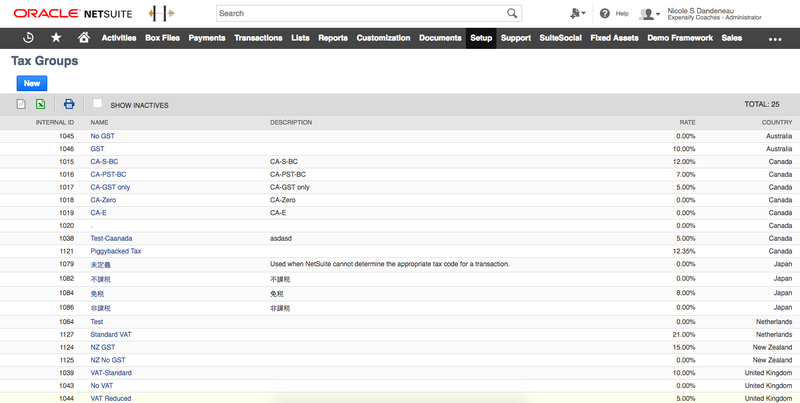 You can export negative expenses to NetSuite successfully as long as the total of the report itself is positive. Expense Reports, Vendor Bills, and Journal Entries all require a positive report total in order to export. Have the expenses in question been imported from a Company Card? Only expenses that have the Card/Lock icon next to them can use the export mapping settings that you configure through Domain Control. Expenses that have been imported from a card linked at the individual account level, expenses created from a SmartScanned receipt, and manually created cash expenses will export to the default account selected in your connection's configuration settings. If the expenses that you are trying to export are SmartScanned receipt expenses that should have been merged with an imported Company Card expense, you can take some troubleshooting steps to determine why these expenses did not merge together automatically. Is the report exporter a Domain Admin? The user exporting the report must be a Domain Admin. You can check the Report History & Comments section near the bottom of an individual report to see who exported it. If your reports are being exported automatically by Concierge, the user listed as the Preferred Exporter under Settings > Policies > Group > [Policy name] > Connections > Configure must be a domain admin as well. 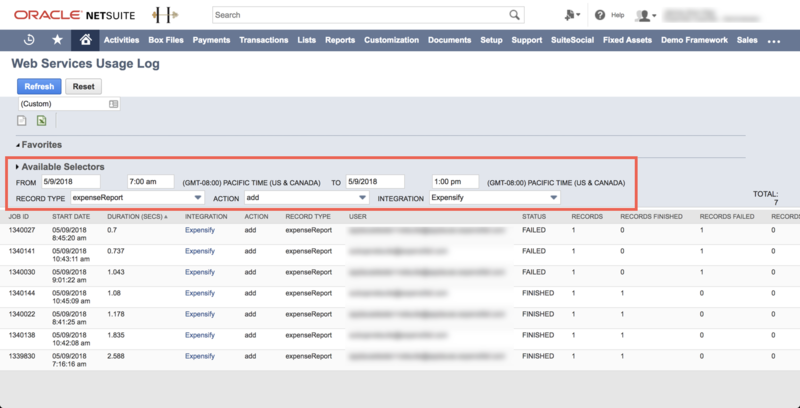 If the report exporter is not a domain admin, all company card expenses will export to the default account selected in the Non-Reimbursable section of your Export configuration settings under Settings > Policies > Group > [Policy name] > Connections > Configure. Has the card been mapped under the correct policy? If you have multiple policies connected to the same accounting system, there will be a separate list of accounts displayed for each policy. Unless you choose an account listed under the same policy as the report you are exporting, expenses will export to the default account. Cause: This error occurs when locations, classes, or departments are required in your accounting classifications but on the preferred bill payment form but are not marked as 'Show'. Solution: In NetSuite, please go to Customization > Forms > Transaction Forms and find your Preferred (checkmark) Bill Payment form. Please Edit or Customize this form and under the Screen Fields > Main tab check 'show' near the department, class, and location options. Cause: This can also be caused if the incorrect settings are applied in the policy configurations in Expensify. Config > Advanced > A/P Approval Account - Must match the current account being used for bill payment. This account needs to match the account selected in your Expensify configuration. On the "Approval Routing" tab, uncheck Journal Entries/Vendor Bills to remove the requirement for approval for Journal Entries created in NetSuite. Please note that this will apply to all Journal Entries created, not just those that are created by Expensify. On the "Employee" tab, uncheck "Approval Routing" to remove the requirement for approval for Expense Reports created in NetSuite. Note that this selection will apply to purchase orders as well. If you're having trouble importing your Categories, first make sure that they are setup in NetSuite as actual Expense Categories, not just General Ledger accounts. Logged into NetSuite as as administrator, go to Setup > Accounting > Expense Categories. A list of Expense Categories should be available. If no Expense Categories are visible click on "New" to create new Expense Categories. When connecting to NetSuite, the chart of accounts is pulled in to be used as categories on expense. Each expense is required to have a category selected within Expensify in order to export. Each category also has to be imported in from NetSuite, and cannot be manually created in the policy settings of Expensify. Expenses will export based on the configurations selected in your policy settings. The configurations can be viewed by following Settings > Policies > Group > [Policy name] > Connections > Configure > Export page. 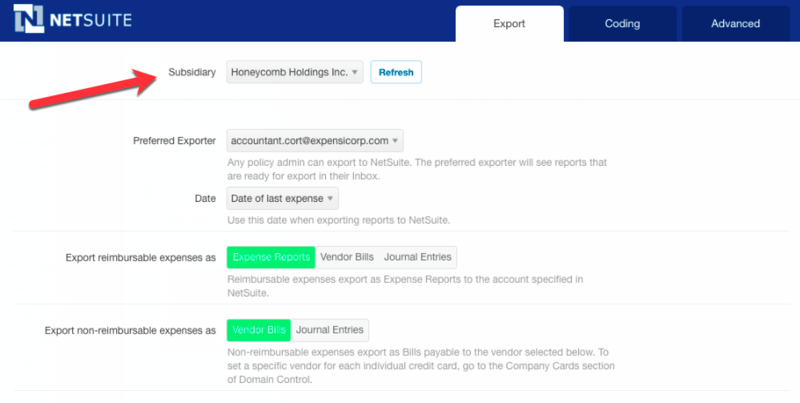 Check out our Export Options page to learn more about how your expenses can be sent to NetSuite! 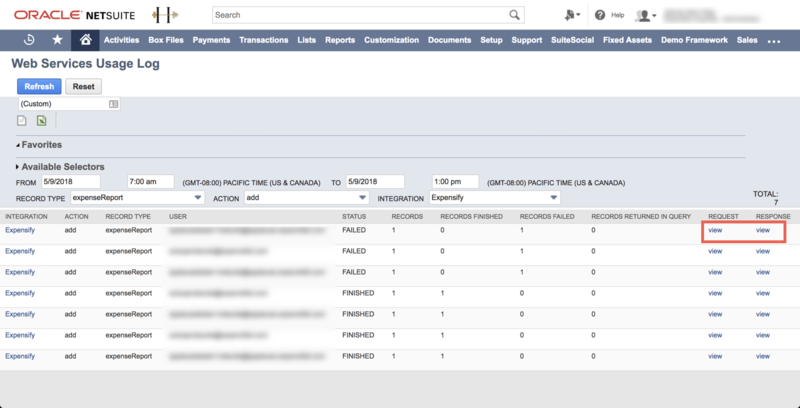 Connection and export issues that cannot be resolved using our error guides may require additional information which can be contained in the NetSuite logs of each connection and export attempt.